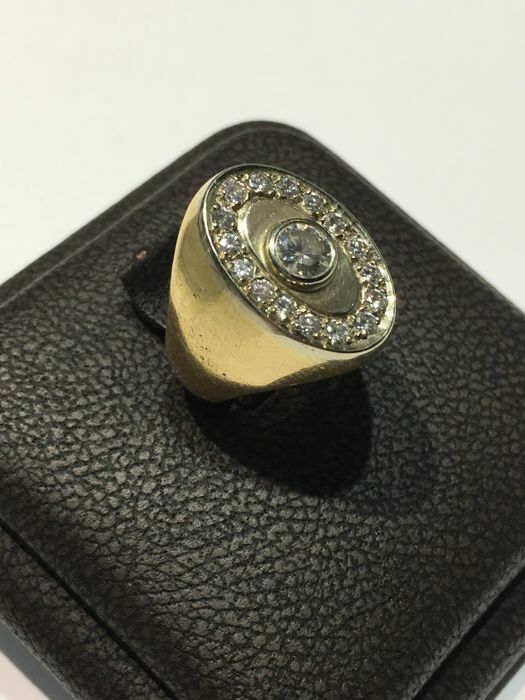 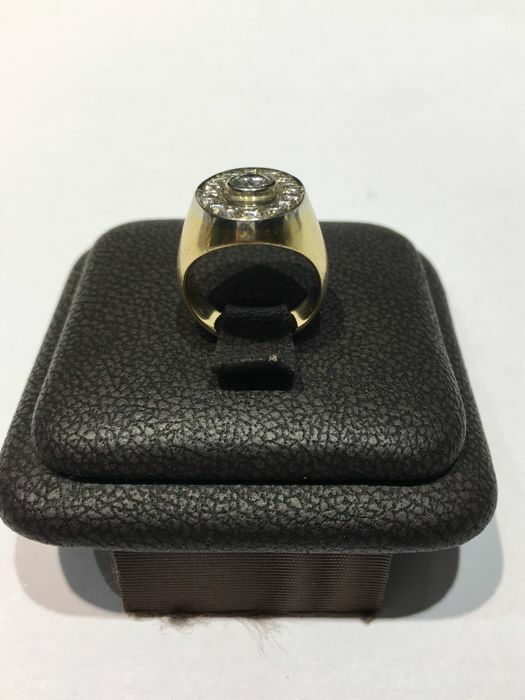 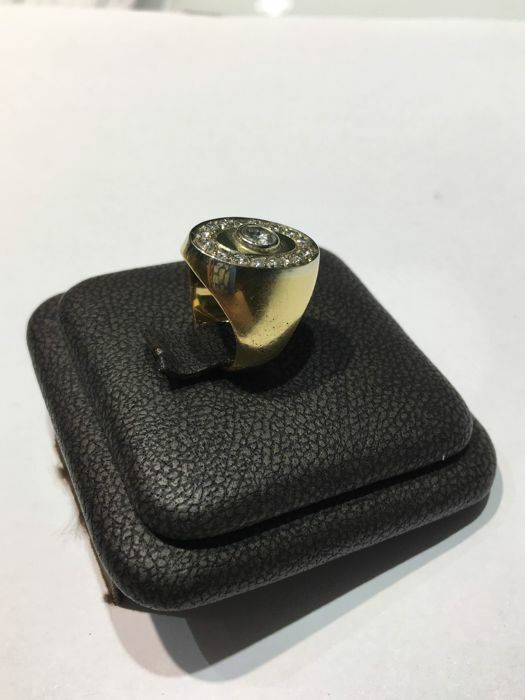 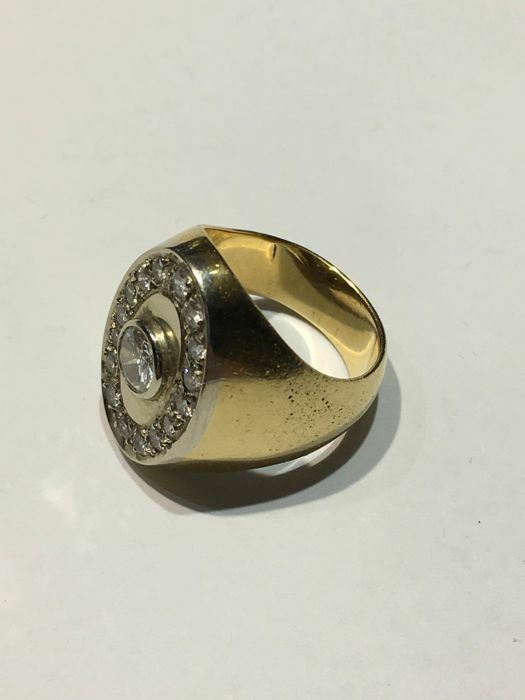 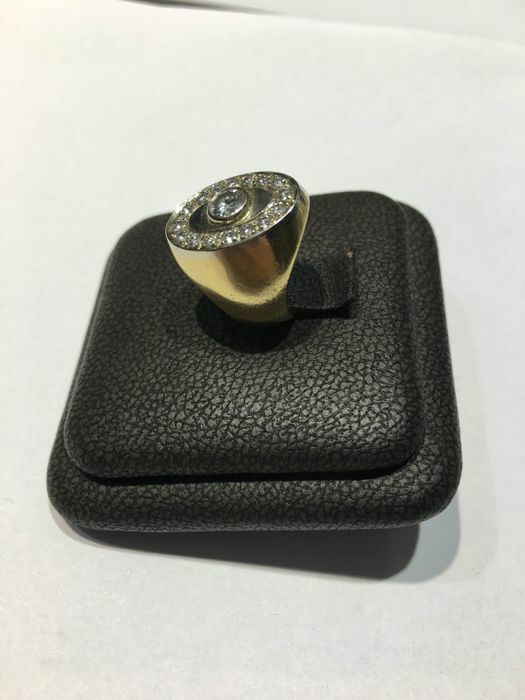 For sale: 18 kt yellow gold ring with brilliant cut natural diamonds. 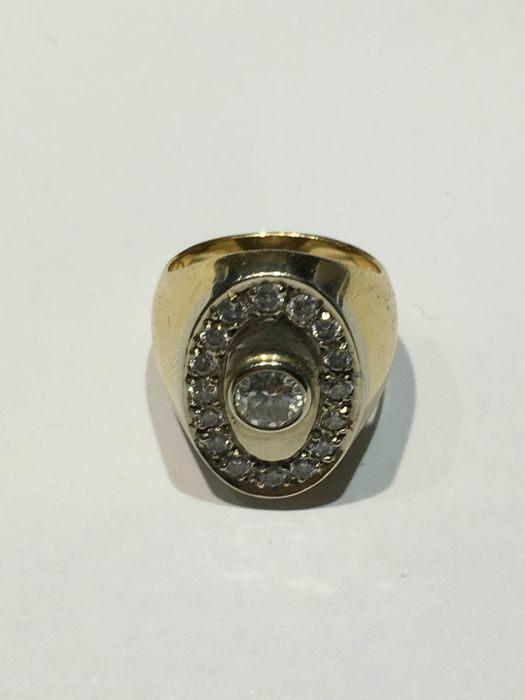 The centre stone weighs approx. 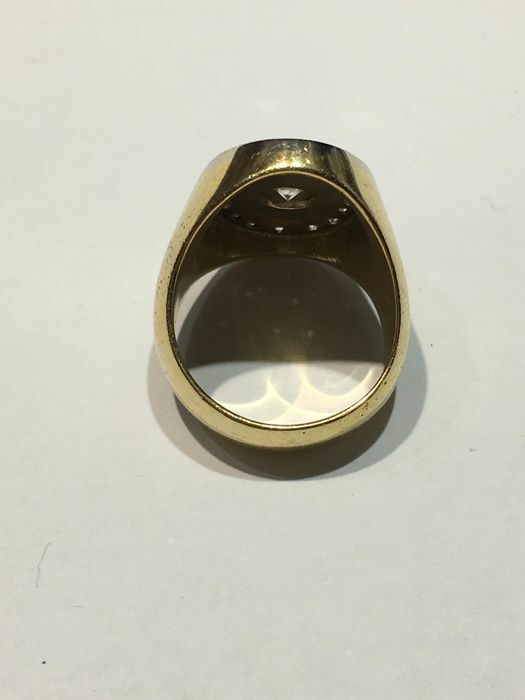 0.20 ct, colour I, clarity in the VS1 range. 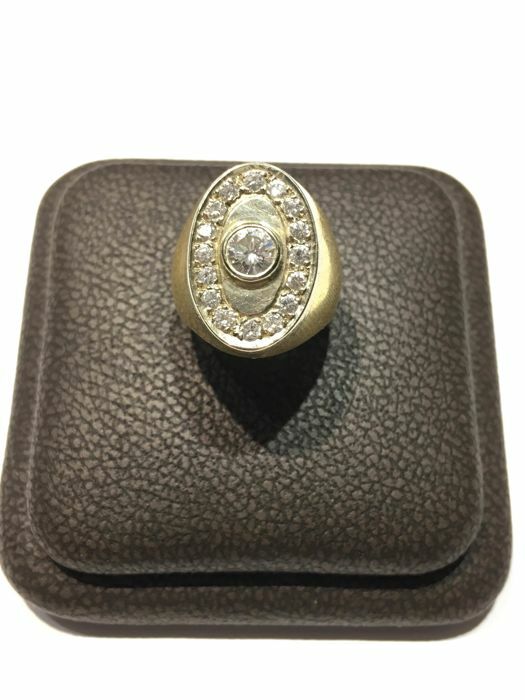 Total weight of accent diamonds: approx 0.50 ct, colour I, clarity in the VS2 range. 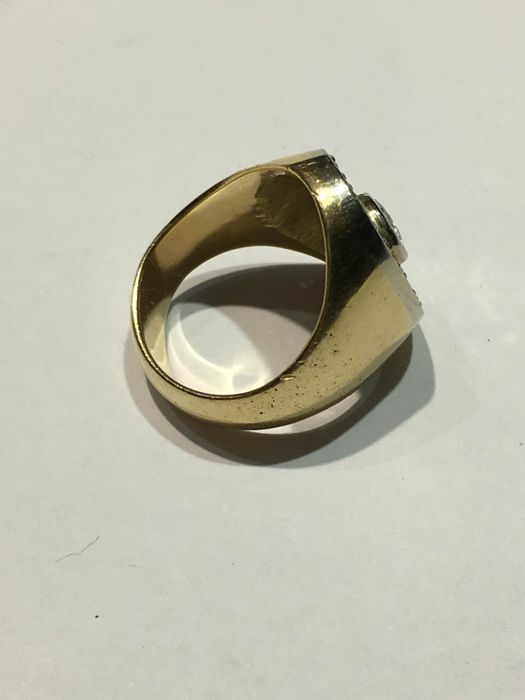 The ring was made in the 1970s, presumably in Italy. 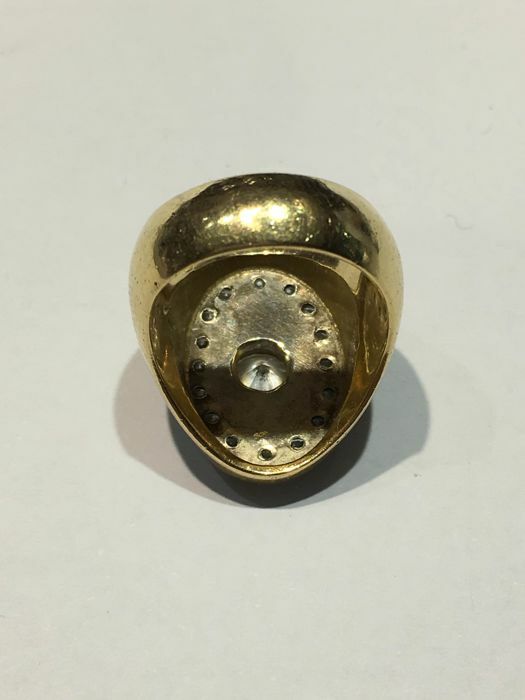 The item has no gold hallmarks, but it has already been tested.